Total Organic Carbon (TOC) determination by combustion using temperatures above 900 °C with prior acidification is an established technique included in many standard methods, e.g. EN 15936. TOC determination is a widely used method to determine the volume of humus and organic material in soil and waste. 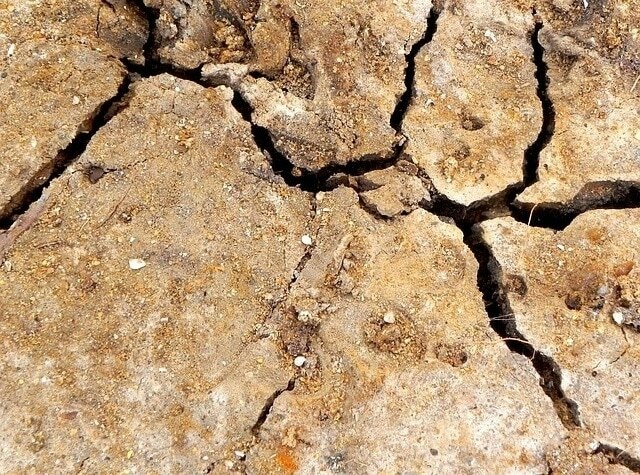 There are several challenges associated with reliably and accurately measuring the TOC level of mineral sediments and soils, with room for improvement. When carrying out such measurements it is important that the sample composition is not significantly altered during sample preparation. This is difficult to achieve because before measurement, compounds that contain inorganic carbon, such as the carbonates found in dolomite, siderite and magnesite, must be removed. The removal of inorganic carbon-containing compounds is carried out by treating the sample with 10% HCl solution at a temperature of around 50 °C to achieve a complete decomposition. However, these temperature conditions can also result in a loss of organic carbon, which can result in the measured TOC level being lower than the true TOC level. If different acids are used this effect can be even more pronounced, with H2SO4 resulting in an organic loss of up to 80%. Developing a method that does not use acidification will help researchers collect more accurate results. Acidification as part of sample prep is also labor and time-intensive resulting in a delayed workflow. In addition, there are also safety implications and a risk of equipment damage when handling corrosive acids, as well as impacts on the reproducibility and detection limits of the experiment. Temperature-dependent TOC determination can be used as an alternative to pre-acidification. The majority of inorganic compounds require temperatures exceeding 600 °C to undergo total combustion, whereas organic compounds combust at temperatures lower than this. Many studies in the literature show that using a combustion temperature between 515 °C and 650 °C can provide results comparable to direct methods with pre-acidification, e.g. Pitt et al., 2003; VDLUFA, 1991; Bisutti et al., 2007. This article discusses a TOC determination method that omits pre-acidification using the soli TOC® cube. This instrument can differentiate between organic and inorganic carbon with the use of a dynamic temperature program. The temperature ramping method began at a temperature of approximately 100 °C. Following introduction of the sample the temperature was increased at a rate of 120° C / minute to a maximum temperature of 600 °C at which TOC detection occurs. The temperature of 600 °C is held for 230 seconds, which ensures all of the sample’s organic carbon is combusted regardless of how much there may be. Following this the sample is heated to 900 °C at the same heating rate to detect the level of TIC (Figure 1). Figure 1. Dynamic temperature program with target temperatures of 600 °C and 900 °C representing the TOC and the TIC concentrations. Measurement of the TIC content of the sample can be omitted to save time if only the TOC content is of interest. To evaluate the use of a ramping method, using dynamic temperature programing, carbon measurements of five different soils that were pre-treated with acid and combusted isothermally at 900 °C were compared with measurements of the same samples using temperature ramping. In addition, a more reactive sample was measured to highlight the advantages of using a temperature ramping method. All of the measurements were taken using the same soli TOC® instrument to exclude instrument and calibration effects. Pre-acidification of the sample for the conventional TOC measurement method was carried out using 10% HCl and 1 drop concentrated HCl to ensure all carbonates were removed from the sample. Completion of this step is indicated by the sample no longer foaming. This step involved no heating. Using a temperature ramping method, as opposed to an isothermal method, gives researchers more control over the combustion process resulting in more consistent data. This is of particular importance when handling reactive samples, e.g. coal. Reactive samples show strongly exothermic combustion which results in an increase in the experimental temperature. Table 1. Carbon concentrations of a reactive soot sample after temperature ramping to 600 °C compared to directly introducing a pre-acidified sample and isothermal combustion at 600 °C. Table 1 demonstrates that the temperature ramping method allows the TOC and TIC content of the sample to be better separated than when using an isothermal method. The lower standard deviation of the method shows that temperature ramping provides more repeatable results than conventional methods that use pre-acidification. It should be noted that both methods give the same value for total carbon (TC) content. The data collected using the ramping method correlates well with the data from the conventional method for the different soil samples (Table 2). This means that using the method of ramping to 600 °C can be seen as equivalent to the pre-acidification method at 900 °C but without having to carry out acidification. The marginally higher TOC value for the conventional method is due to the uncomplete destruction of the carbonates. Whilst the ramping stage of the analysis takes longer to carry out than the isothermal measurement the overall analysis time is significantly reduced due to the exclusion of the time-consuming acidification step. Following acidification, which must be carried out manually, the sample must then be dried for several hours and, for some analyzers, the sample must then be enclosed in foil. These steps cannot be automated and result in a longer analysis time. The soli TOC® cube’s 89 position autosampler and simple sample preparation results in a shorter analysis time and means experiments can be ran overnight without the need for supervision. This removes a significant bottleneck in the analysis workflow and increases the number of samples that can be ran over a 24-hour period. In addition, it is also possible to use the soli TOC® cube to differentiate between TIC and residual oxidizable carbon (ROC) and TOC400 and biologically inactive elemental carbon (EC) in one sample run – these are key measures when disposing of waste in landfills. This measurement is part of a new German standard (DIN 19539) and is expected to become more important following its increased adoption in the future. 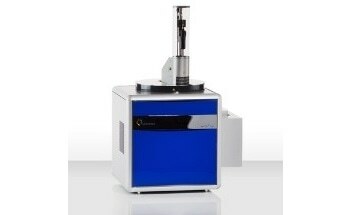 The versatility of the soli TOC® cube makes it the ideal instrument for the measurement of the different carbon fractions (such as TIC, TOC and EC/ROC) in solid samples. The optimized conditions of the system mean that a lower measurement range is possible, no acid is required and crucibles with a low blank value can be used. The system automatically removes ash during the measurement process, preventing system corrosion from occurring. Bisutti, I., I. Hilke, J. Schumacher and M. Ressler (2007): A novel single-run dual temperature combustion (SRDTC) method for the determination of organic, in-organic and total carbon in soil samples. Talanta 71, 521-528. DIN EN 15936 - Sludge, treated biowaste, soil and waste – Determination of total organic carbon (TOC) by dry combustion. DIN 19539 - Investigation of solids — Temperature-dependent differentiation of total carbon. VDLUFA Methodenbuch (1991): Band I- Die Untersuchung von Böden, A 4.1.3.2, 7. Teillfg. 2016. Pitt, J.L., T.L. Provin, F.M. Hons, F. Dou, and J.S. Waskom (2003): Use of a total carbon/nitrogen analyzer for the determination of organic and inorganic carbon in soils, manure, and composts. Abstracts, 2003 Meeting of ASA, Denver, CO.